RVNL Recruitment 2019 - Job notification for Company Secretary Post in RVNL, Delhi. 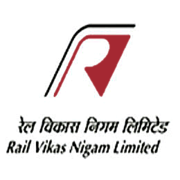 Applications are invited by Rail Vikas Nigam Limited on or before 15 Feb 2019 for 1 vacancy. 2) Should be an Associate Member of the Institute of Compan) Secretary of India. Eligible candidates may send their application in prescribed format (attached below) to The Group General Manager (HR), Rail Vikas Nigam Limited, 1st, Room No. 253, August Kranti Bhawan, Bhikaiji Cama Place, New Delhi-110066 on or before 15 Feb 2019, along with relevant documents in support of educational qualifications, experience, caste (if applicable), last month salary statement etc.